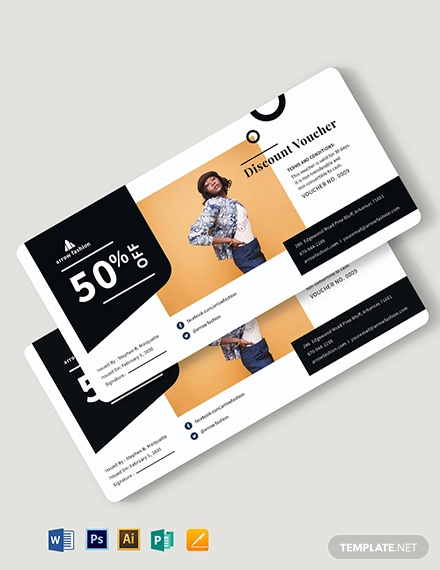 Discount vouchers have now become important promotional materials for all types of businesses, not only large corporations but also small and medium enterprises. 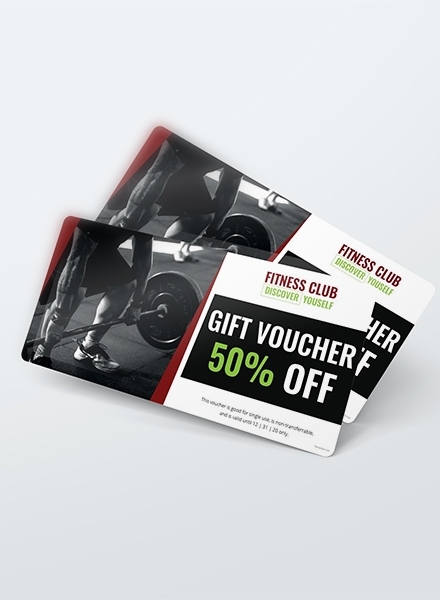 Discount vouchers didn’t even exist 30 years ago, but businesses today are using vouchers on a regular basis for their advertising and promotional activities. If you are looking for some discount voucher examples, then look no further! We have provided examples below that you can download for free. Also, don’t forget to check Template.net for more voucher and other graphic designs. A good discount voucher is dependent on the value or advantage. 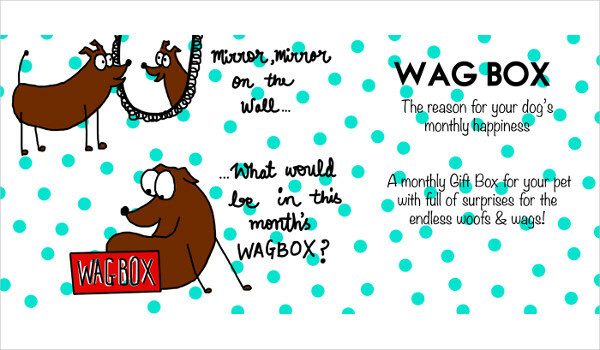 Basically, a voucher should entice a customer to purchase a product and use the voucher that comes with it (if any). A discount voucher that has little value will definitely not be used by the customer, defeating the purpose of the discount voucher. Vouchers are meant to be used and not just placed on a shelf. The value of vouchers are usually discounts or cash rewards, but discount vouchers focus mainly on discounts. But that does not mean that discount vouchers cannot incorporate cash rewards. Discount vouchers can become a multipurpose or dual-purpose voucher, as it can be both discount voucher and a cash reward voucher. A discount voucher that has very little value is basically useless. For example, a $1 discount on a $1,000 item or a 10% discount on a $100,000 item. There is definitely no need to create a discount voucher if that is the case, and the customer might as well pay for the full price than use a senseless voucher. You may also see payment voucher examples. Just like perishable items, discount vouchers also need to have expiry dates. This allows the customer to use the voucher at the soonest time possible. 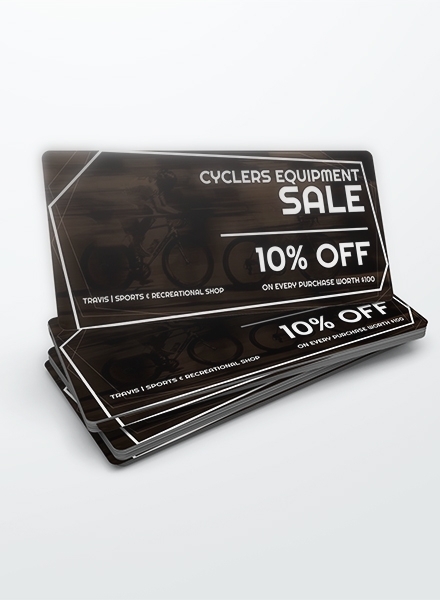 Discount vouchers are marketing materials, and marketing materials are only used within a specific time period. Companies simply cannot give a whole year discount as this is very costly on their end. They may earn, but not as much when selling their products at their regular price. When companies are giving out discount vouchers, this should create a chain reaction for customers to advertise the products of the company to non-customers and potential buyers. 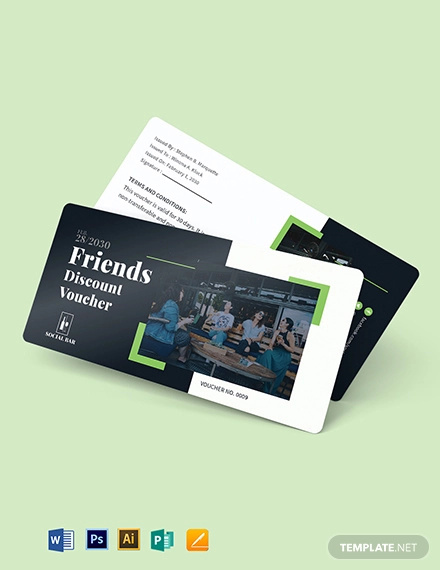 An effective discount voucher should let customers inform their family and friends of the voucher, in which the family and friends will then be interested and avail the voucher. Similar to a contract, a discount voucher also needs to have conditions. Again, it will be costly for the company if they let their customers use a discount voucher at any time. Can you imagine if a company hands out 1,000 discount vouchers to customers without any conditions? The company will run out of money in no time and will unfortunately file for bankruptcy. The conditions should only cover the time period where the discount vouchers will be used. You may also see business voucher examples. Examples of discount voucher conditions are listed below. You can create your own conditions depending on the use of the discount voucher. The discount is only applicable for a period of two weeks. The discount voucher is only valid for three months from January 2018 to March 2018. The discount is meant for one item only, and is not transferable from one item to another. The discount can only be used by one person, specifically the person being given the discount voucher by the store manager or personnel. The customer cannot demand for another discount voucher if he or she is already given one for whatever reason it may be, valid or not. Listed below are some steps to designing a good discount voucher. 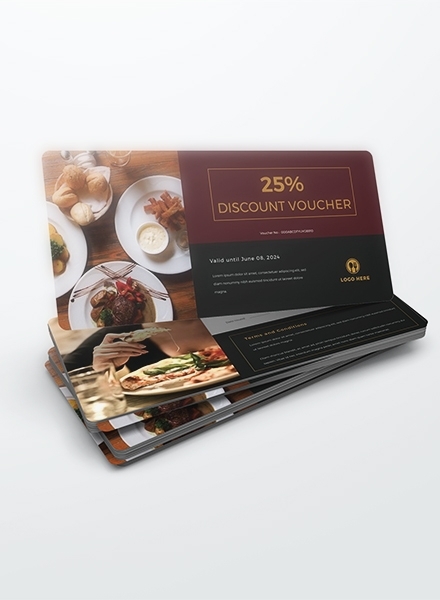 A good voucher design is essential for it to be effective. Follow the steps below so that you can create the most attractive and useful discount voucher that you can hand out both to your regulars as well as new customers. 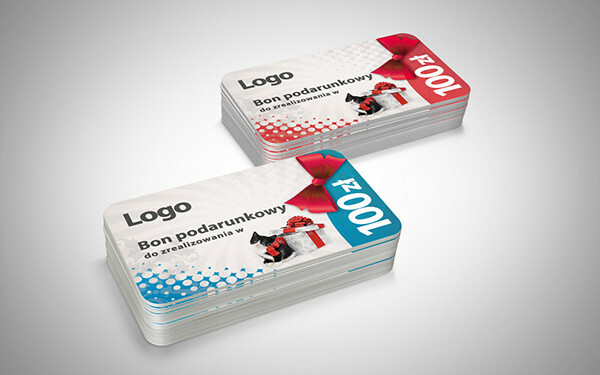 A discount voucher similar to other designs should develop a concept at the beginning. 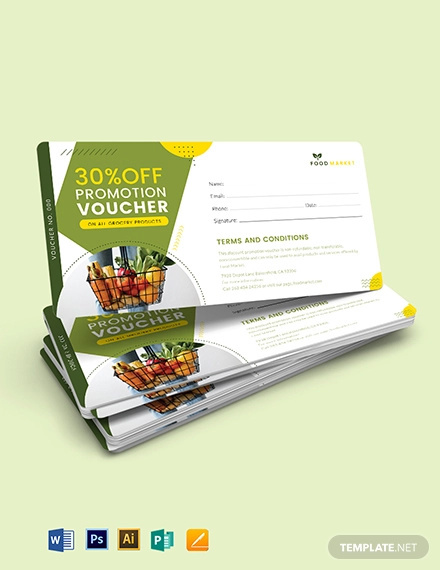 Careful planning is needed when developing vouchers as you will be giving out the vouchers to numerous customers. You definitely don’t need to create the first design that comes to your head, as you will be first discussing the design to your colleagues or members of the management team. Planning beforehand will help you create the ideal format and format of the discount voucher. There are numerous formats or sizes you can use for the discount voucher. 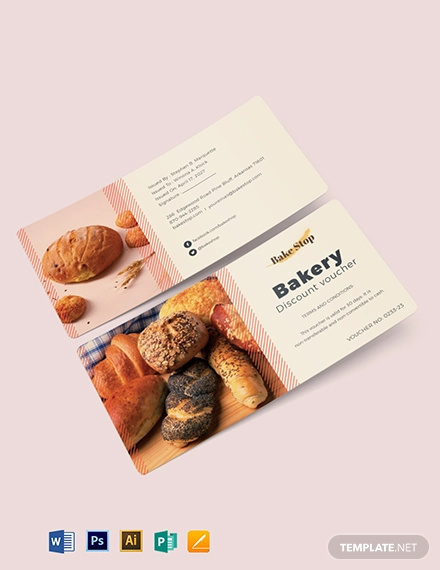 You can go for a standard 3×3 or 4×4 size, or you can use a twofold or threefold design similar to a menu or invitation designs. 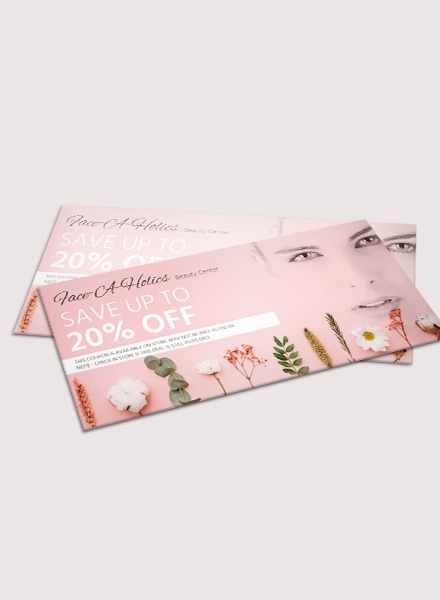 The standard size is ideal for all types of voucher designs, especially if you will only be incorporating very little text. The twofold or threefold design is a new option for vouchers, but they are attractive if used the right way. Remember that on whatever format or size you will use, all the text and design (images, colors, etc.) will be incorporated. You don’t want to miss out on incorporating important details as you no longer have space in the voucher. Here’s a tip: use words or phrases instead of sentences and paragraphs. The space in a discount voucher is already limited as it is, so it is better to write your text in words and phrases alone. As previously mentioned, list down the important elements of the discount voucher such as the value, expiration date, and conditions. Write down the conditions at the back of the discount voucher since the front face is meant for the value and expiration date of the voucher. Once you have planned the concept as well as decided on the format, it’s time to design the discount voucher. 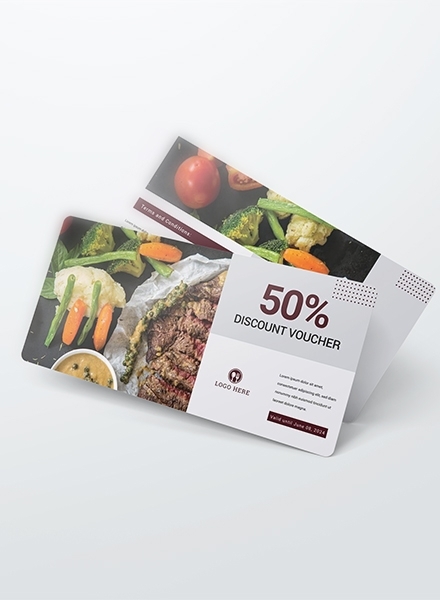 There are hundreds of concepts you can use for your discount voucher, but one of the most common (yet most popular) concept is applying the company’s theme in the discount voucher. For example, if your company is using the blue and yellow color scheme in both the company’s interior and exterior office designs, then use the same color schemes in the discount voucher. 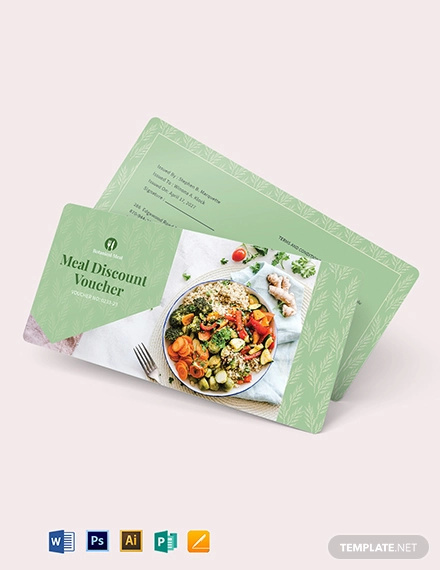 Another example would be if your company is using images relating to the seasons like summer, winter, autumn, and spring, then use these images to the discount voucher. 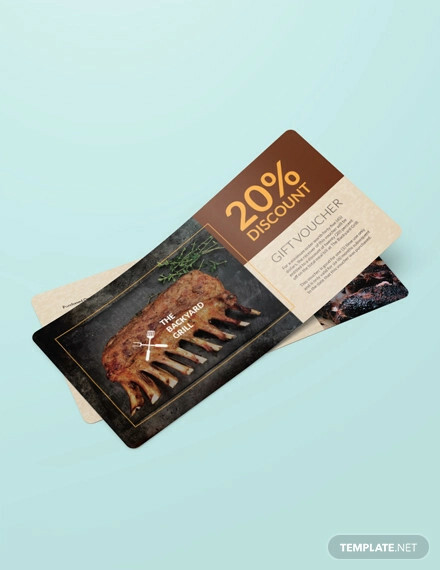 What’s better than a discount voucher design? Two discount voucher designs! 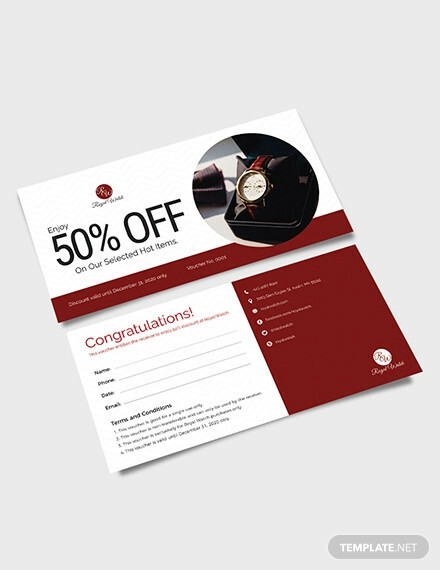 Having an alternate design for the discount voucher is a great marketing tool as you can create an option for your customers by letting them choose from two designs. Think of a movie poster where numerous designs are created and presented to the public. Production companies even create different posters for different regions to increase the hype for the movie. You can do this for your discount voucher as well. When creating an alternate design, make sure that you have already completed a first design. 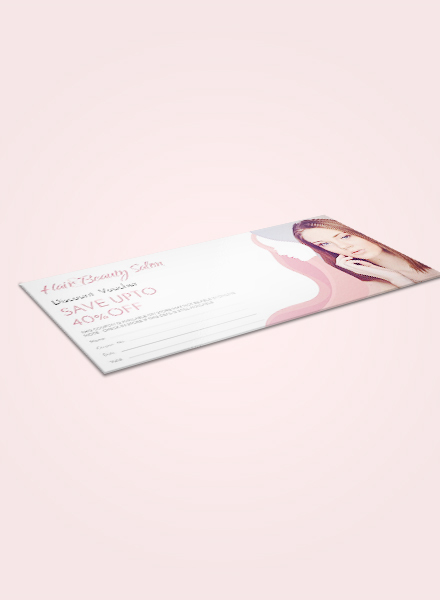 This will make it easier for you when you will be creating the second or even third discount voucher design. 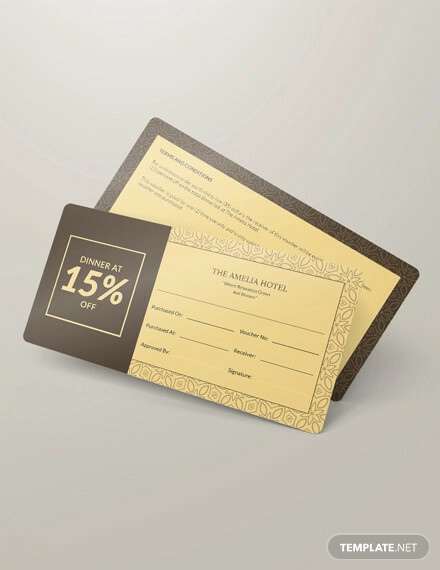 When creating the design for the alternate discount voucher, you can base it on the first design or completely change it as long as it matches the theme or concept of the promotion. 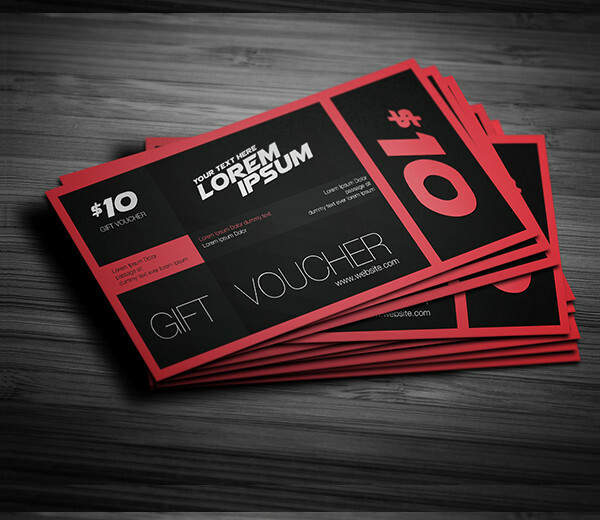 For example, you can use a simple color combination for the first discount voucher design and add images in the second design. Once you have created the design, it is now time to purchase paper and other printing or design materials. Choose special paper and not just a simple bond paper for the discount voucher as bond paper looks very unprofessional. There are different types of special paper you can use, make sure to choose the ones that are thick and are sold in different colors. Aside from the paper, you may also purchase pens, markers, and other decorative materials such as ribbons, pins, tulle, and stickers. Purchasing these materials is not necessary, but if you want some added aesthetics in your vouchers, then make your purchase. All items should be tallied for costing together with the printing of the voucher. 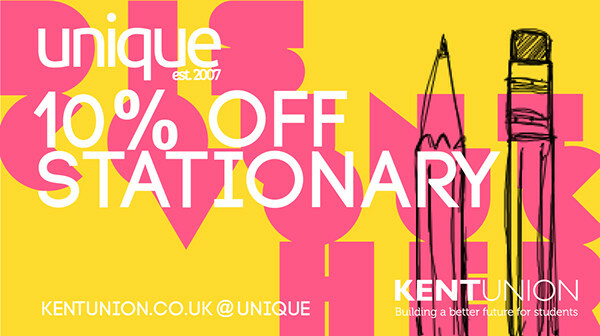 Thoroughly check the final design of the discount voucher before it goes into printing. This should be a standard procedure when working on any type of design especially for designs that you will be giving out to customers or clients. 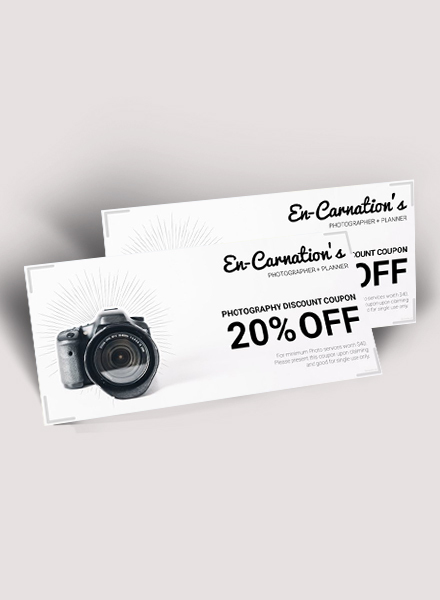 You definitely don’t want a glaring typographical error when you will be handing the discount vouchers to your clients. It is not only unprofessional but also embarrassing especially when your competitors will be able to get hold of the voucher. Additionally, misspellings and grammar problems will also cause financial problems for your company or firm as you will be reprinting the vouchers again. Avoid this dilemma and double-check the voucher designs before they are printed out. Finally, the last step in the design process. Once you’ve created an attractive design, checked for design and typographical errors, and presented the design to your colleagues, it’s time to print out. 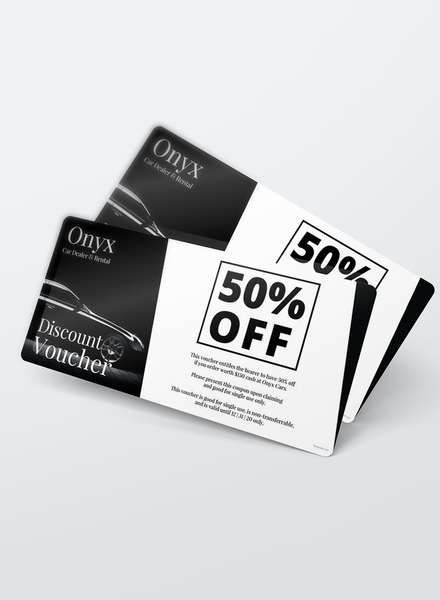 The number of copies that you will print out will depend on the number of vouchers you will be giving to your customers. 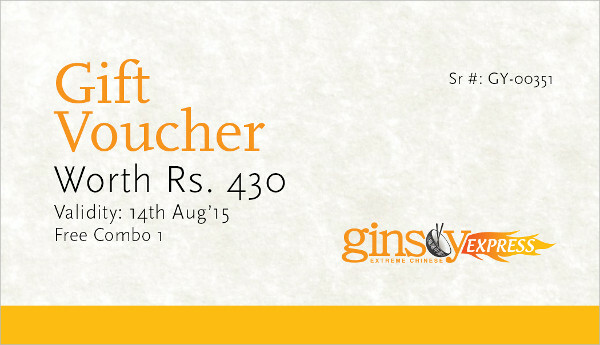 Print the exact amount of vouchers to avoid spending too much on the printing. 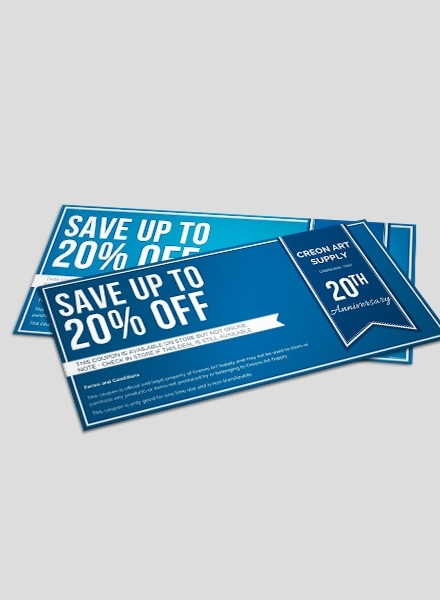 If you are planning to use the same discount vouchers in your next promotional campaign, print them ahead of time. 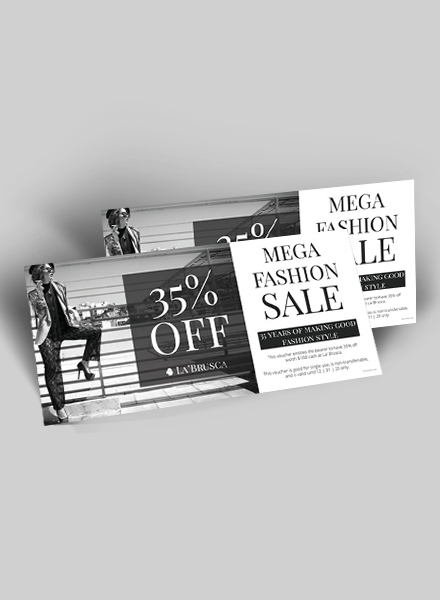 Here are some tips for creating an excellent discount voucher layout. Some of the tips are already mentioned in the previous section but we will be discussing them further here. 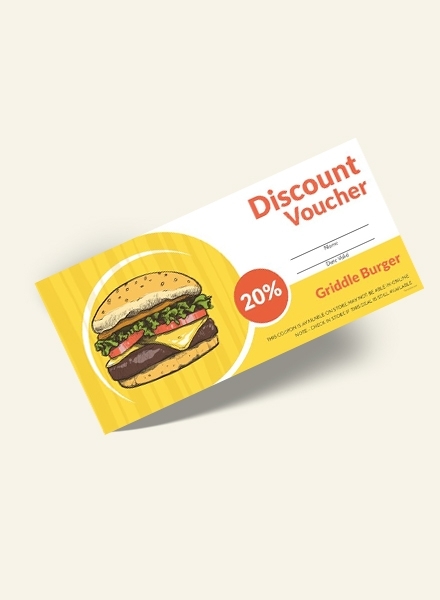 We already mentioned the three elements of a good voucher design: value or advantage, expiry date, and conditions. All of these elements should be present in the discount voucher layout. The lack of either each of the elements greatly loses the effectiveness of the discount voucher to your customers or clients. Creating a layout for a discount voucher should not be difficult. To be honest, it should be the last thing you should worry about when creating a discount voucher. 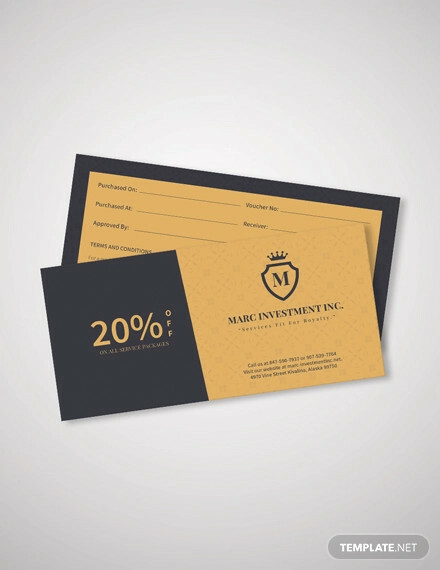 Just apply the company theme or design to your discount voucher and you are good to go. Just imagine that the discount voucher is a smaller version of a poster or tarpaulin. Minimalism is simple while maximalism is aggressive. 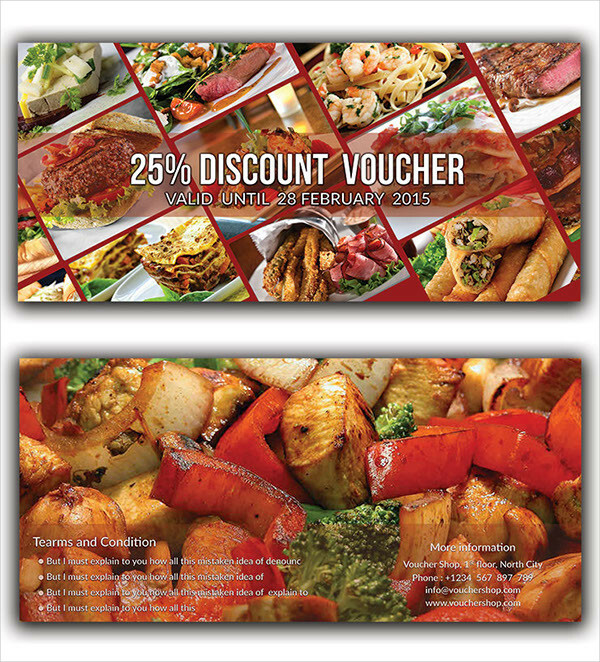 Choose either one when creating the layout for your discount voucher. But be careful though, too much minimalism makes your voucher design bland while too much maximalism makes the voucher design messy. Basically the type of voucher discussed in this article. A percentage is discounted from the original price in which you will only be paying for item’s discounted price. BOGO stands for “buy one, get one free.” This is a very common type of coupon similar to the discount voucher. 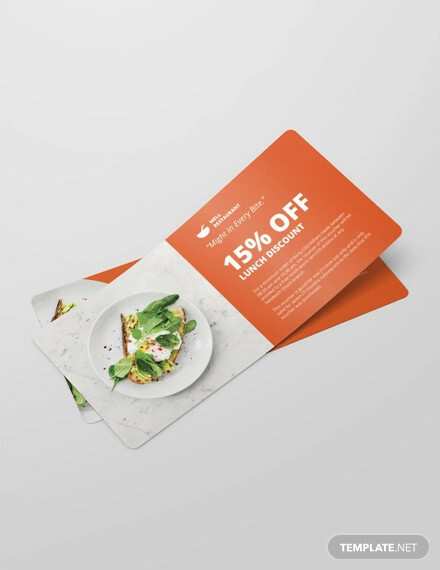 This type of coupon is similar to the BOGO voucher and are mostly handed out in restaurants and other food businesses. This is another variation of the BOGO voucher, commonly used in retail and wholesales stores. This coupon is exclusively given to members of an existing establishment. Usually, members pay for a certain amount of fee before they are given rewards and privileges such as vouchers, which are not usually given to regular customers or clients.